Do you have any stories or artefacts from World War 1? We are very excited to be part of 'Roath Remembers', a community based project which has received heritage lottery funding. As part of this we hope to build an exciting and 'real history' project within our school which will become part of the year 6 curriculum for years to come. During World War 1 pupils from Albany were moved to other local Primary Schools and the school became a military hospital to treat soldiers injured during World War 1. 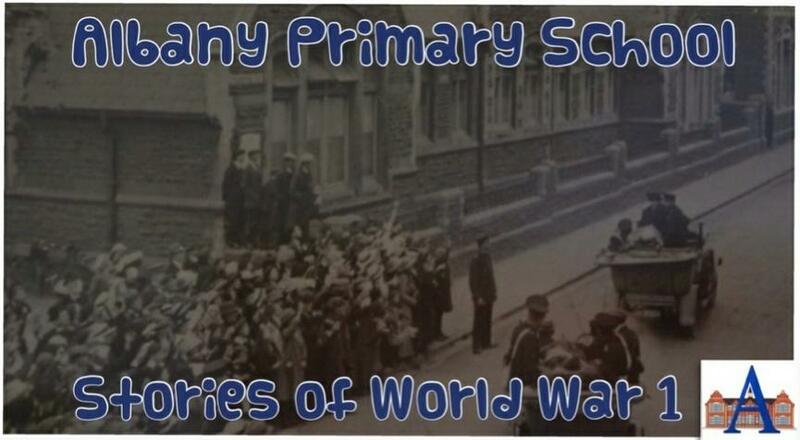 We have some photos and artefacts from the school at this time and the whole Roath Remembers project is aiming to create a hub of stories and information of World War 1 and Roath. This half term our year 6 pupils are learning about the Great War and carrying out some research to explore the history of our school. Some pupils will be visiting Glamorgan archives to explore our school log books from the time and any other relevant information. On Saturday 18th October we will be opening the doors of the school to the public as part of the 'Made in Roath' festival. Our year 6 pupils will be giving tours of the school as a military hospital and exhibiting their work. We are also hoping to share this project with other local schools.